Holes in the Wall Collective holds residence on 29 acres of woodland, fields for cultivation, residences & pond on property run by Jan Cohen-Cruz & Dionisio Cruz. Holes in the Wall Collective holds residence on 29 acres of woodland, fields for cultivation & pond on property run by Jan Cohen-Cruz & Dionisio Cruz of Art in the Fields. Art in the Fields integrates arts into other fields, showcasing art as a tool for unlikely partnerships and social action. Holes in the Wall Collective and Art in the Fields work together to bring artists and creatives across disciplines to New Jerusalem. This summer the two organizations will work in collaboration to bring creatives to near by Alsace Township in order to bring new disciplines to the Summer Playground Day Camp. Stay tuned for details and to apply. 29 acres of woods, housing, fields, converted barn, pond and a pool. The grounds are mowed and full of wild berries, walnuts and a grandmother cherry tree. Ample indoor and outdoor space to be in. Picnic table, outside seating, a dock and canoe. The one acre pond houses frogs, geese, ducks and an old turtle. In the early summer the pond is wonderful to swim in- with many additional seasonal offerings from the land. Walks in the woods, drinks from an artisanal well, shared space with deer, hawks, fireflies and swallows. The property houses the Holes in the Wall Collective Residency, the Cohen-Cruz family farmhouse, the Art in the Fields Barn and the Holes in the Wall Tiny Farm. Like Mary Poppins Pockets, the cabin is bigger than it looks, holding four spacious rooms and a large open living room / kitchen with an eat in counter space and a large working fireplace. An all wood interior keeps the cabin cozy in the winter and the temperature cool in the summer heat. Each room has a work desk + chair, closet space, a dresser and windows. We offer single, double and dormitory style bedrooms for artists, workshops and working retreats. There are one and a half bathrooms, with a shower/bath and a washer/dryer. The cabin looks out on a one-acre pond, the Holes in the Wall Big Garden/Tiny Farm and woodlands. In the Rooms- each room has a working space/desk with a chair. In the Cabin- dining room table and kitchen counter, these are communal spaces and work space/times should be respectfully negotiated with other residents. On the Porch- large screened in porch with working desk and chair, two additional big chairs with side table and outlets. Outdoors- there are 30-acres of outdoor space including a picnic table, adirondack chair, folding chairs, dock. In the Barn- the property has a 1500 square foot stone barn with peaked ceilings, fan, skylights, lights and outlets. There is plenty of open space for working/building/meeting space/rehearsal/workshop space. 500 square feet have been converted into a working studio space with tables and communal supplies. 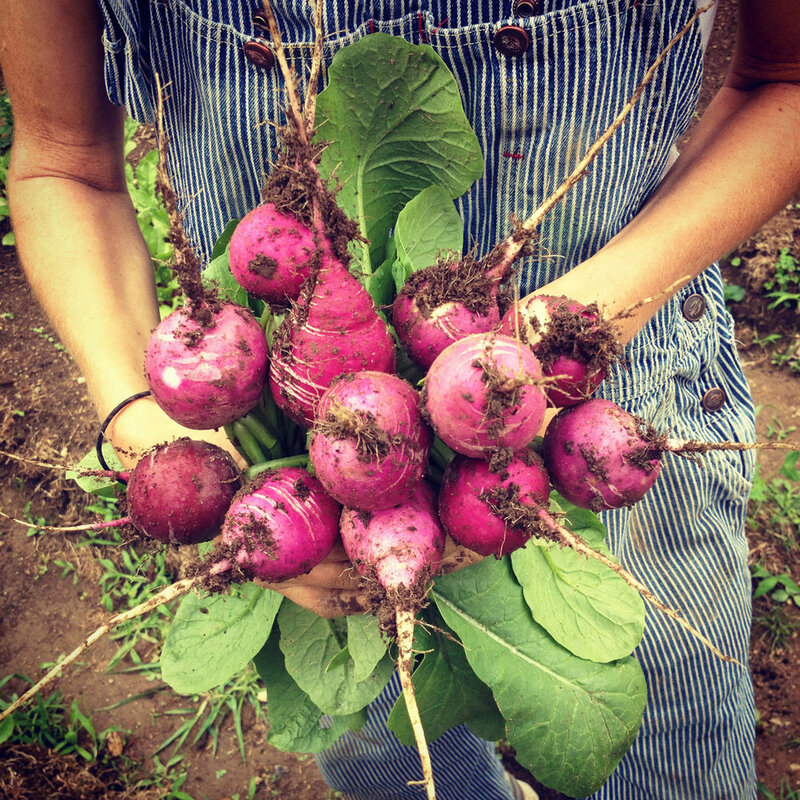 The Holes in the Wall Big Garden // Tiny Farm is less then an acre supplying seasonal offerings for our residents and additions to our food packages for workshops and group rentals. We grow over 40 kinds of veggies, herbs and flowers. We use no pesticides, herbicides or artificial fertilizers on the land. We utilize holistic growing practices inspired by permaculture and biodynamic principles-- applying crop rotations, cover crops, companion planing and biodynamic preparations. We are blessed with a foot and a half of top soil, a diversity of land, three bee hives and green thumbs. 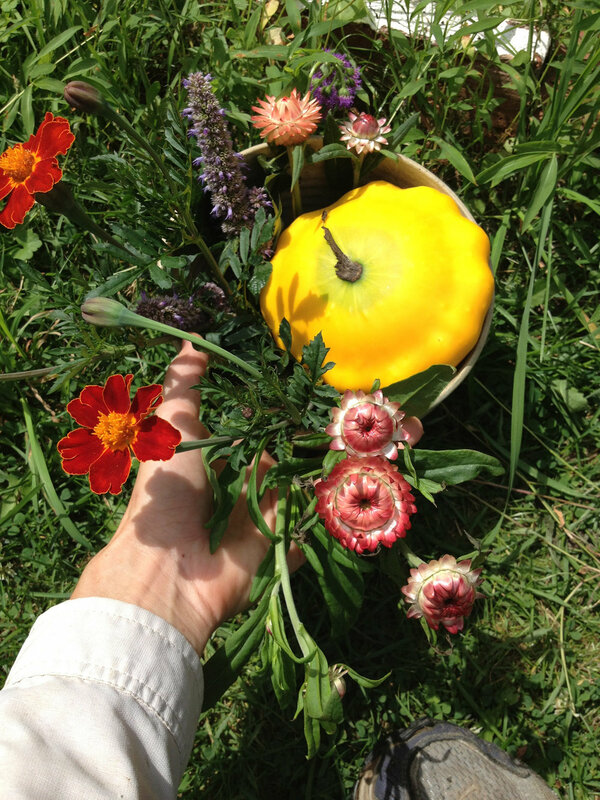 Veggies, herbs and flowers available seasonally for residents and for workshop and group rental food packages.